Calvary Chapel Montebelluna began in 1996 when Craig and Silvana Quam answered the call to begin a Bible study in Montebelluna, Italy. Pastor Craig taught the Word, verse by verse, and the church grew. 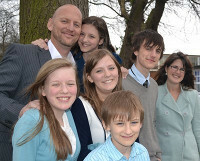 In 2003, Pastor Craig felt led to plant a church in Feltre and then another in Padova in 2007. 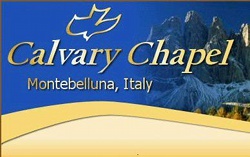 In 2008, the ministry expanded again to include Calvary Chapel Bible College Italy. Pastor Craig and his wife have three children: Abigail, Joshua, and Josiah. Only 10% to 15% of the people visit a church during the course of a year. Calvary Chapel Norwich in Norfolk County, England had its first Bible study on December 31 2004 with just 2 couples. The Bible study grew quickly and soon another Bible study was formed in the neighboring county of Suffolk. On April 10th, 2005 they had their first Sunday Morning service and consistent growth has compelled them to pray for a new facility. Pastor John continues to teach the three studies each week as well as doing much one-to-one discipleship. God's word is changing lives as His Spirit continues to mature the fellowship in faith, hope and love (1 Corinthians 13:13). God is also developing and maintaining both weekly and monthly outreach ministries. Though Great Britain is one of the most secular nations in the world, God is drawing many to Himself: calling the lost to be saved through His Son, (Acts 4:12), and the found to be sanctified by His Word, (John 17:17). Calvary Chapel Paris began in September, 2002 with a Sunday morning Bible study in the Dente's living room. Since then, the group has grown to where we currently rent the facility of a Brethren church in the center of Paris, the Republique quarter, for our Sunday services. The pastor Michael Dente, met and married Rebecca in Seattle, Washington. They began serving the Lord in the children's ministry in their home church, a Calvary Chapel Fellowship located in the United States. Michael was also involved in different music ministries and together they participated in many Bible studies. Since their arrival in France, they helped and served in any way possible at the Calvary Chapel in Nice, where Pierre Petrignani is pastor. They helped with the children's ministry, worship, evangelism and any other way they could be made useful. They then moved to the north of Paris. 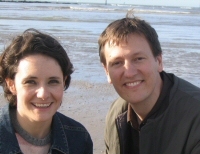 Michael and Rebecca are members of the Calvary Chapel Nice (association cultuelle CC Nice). He is a pastor of CC Nice sent out to Paris.